Become junior meteorologist, experiment, craft, build, and discover natural phenomena doing hands-on science activities from this captivating Magic School Bus shaped Weather Lab. 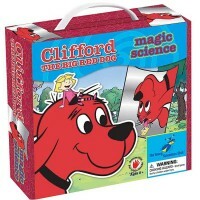 Seatbelts, everyone! 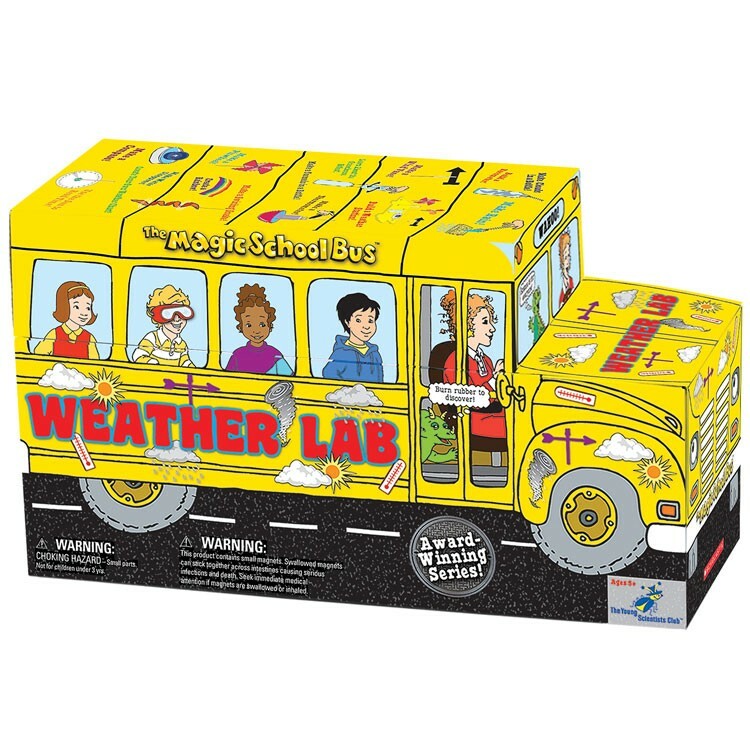 Join Mrs.Frizzle and her class on an adventure through the world of weather with The Magic School Bus Shaped Science Kit - Weather Lab from Young Scientists Club. 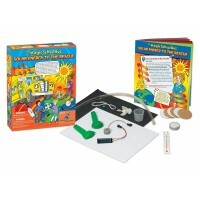 This hands-on activity set allows young learners to participate in a wide variety of activities designed to enlighten them about the science behind common weather patterns and turn them into a junior meteorologist. 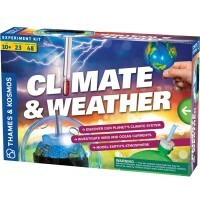 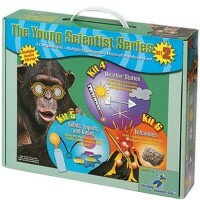 Some of the ways that young scientists can learn about the weather include spinning a pinwheel, making a tornado in a bottle, swirling a paper snake, recreating the water cycle, creating a rain cloud, using a sun dial, constructing a barometer, catching a rainbow, and learning about the greenhouse effect. 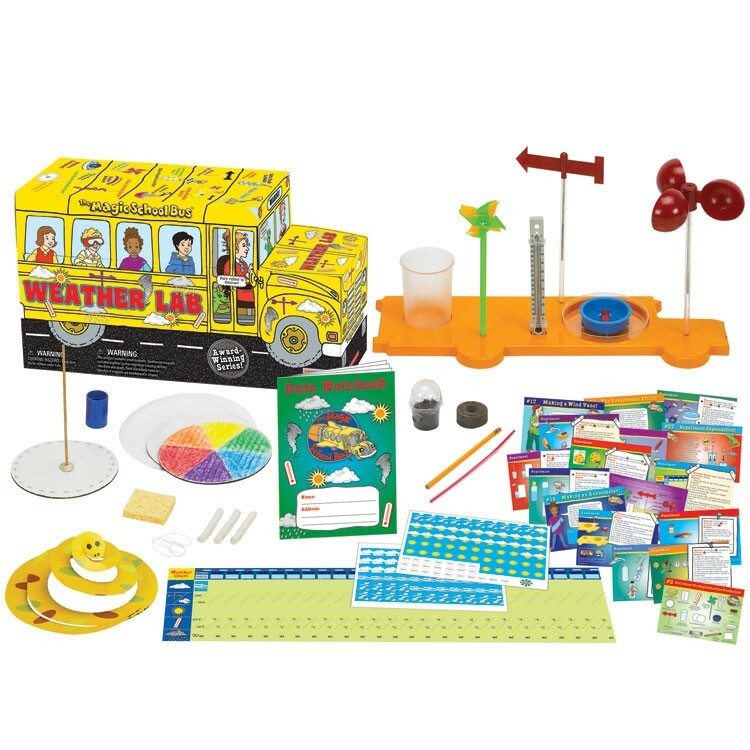 Once they know the basics of weather, young meteorologist can start exploring the weather around them by building a bus-shaped weather station with a thermometer, rain gauge, wind meter, wind vane, and compass. 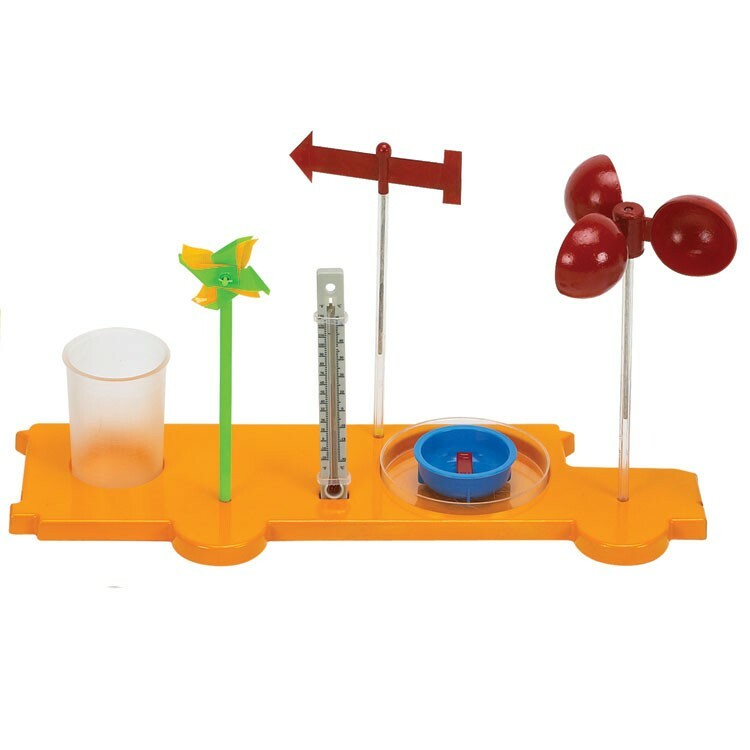 The weather is then tracked on the enclosed weather chart with colorful stickers. 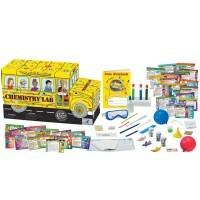 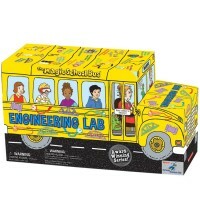 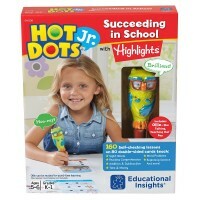 This captivating bus-shaped kit from Educational Toys Planet comes packed with lots of science components, 28 colorful experiment cards, weather station, weather chart, stickers, and data notebook to record observations. 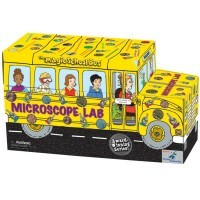 Dimensions of package 9" x 15" x 6"
Write your own review of The Magic School Bus Shaped Science Kit - Weather Lab.